IMF, World Bank Launches Token for Crypto Orientation - Coinfomania Coinfomania: Where blockchain and cryptos live. The World Bank in collaboration with the International Monetary Fund (IMF) has officially launched a cryptocurrency token dubbed “Learning Coin.” The token is set to lay a better knowledge for their staff how the distributed ledger technology works. According to the report from Financial Times on Saturday, the two institutions agreed that the crypto token should have no monetary value and also not be available to the public. The collaborative effort between the IMF and World bank hopes to establish “a strong knowledge base” for the blockchain technology among the staff in each organization. Meanwhile, the Staff will earn coins for achievements on any educational milestones. Also, while the crypto-assets has no monetary value at the moment, the developers are reportedly working to make it redeemable for rewards. To support the token’s seamless operation, the IMF and World Bank also developed a private blockchain network for and the “Learning Coin app,” which enables the staff-users to share informational contents such as research, blogs, presentations, and videos. Why is the IMF Promoting Blockchain Knowledge? The IMF noted that blockchain and crypto-assets had seen rapid growth in development and information “both neutral and vested” within the sector. It is the improvements that have led financial institutions, regulators and central banks to notice the “growing knowledge gap” between the economists, policymakers, legislators and the technology at large, the IMF added. While the latest move by IMF is another effort to promote the knowledge of the blockchain technology and cryptocurrencies, other crypto firms are on the race to spread the knowledge of the cryptocurrency. Coinfomania recently reported similar efforts by San Francisco-based crypto exchange, Coinbase, who initiated a platform dubbed “Earn,” wherein users are paid “small amount” for learning. 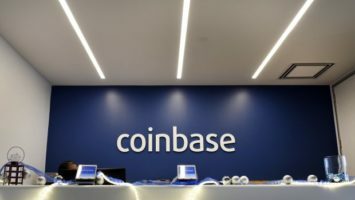 Coinbase pledged to give out 0x tokens to the users for any accomplishment of educational tasks and recently launched a similar campaign for $50 XLM token.